Home / Pantry Items / Beans & Brown Bread / B & M Brown Bread Original (Plain) 16 oz. Home / Specialty Grocery / Beans & Brown Bread / B & M Brown Bread Original (Plain) 16 oz. Home / Pantry Items / Hometown Food Favorites / Beans & Brown Bread / B & M Brown Bread Original (Plain) 16 oz. Home / New England Classics / Hometown Food Favorites / Beans & Brown Bread / B & M Brown Bread Original (Plain) 16 oz. Home / Foods of New England / Hometown Food Favorites / Beans & Brown Bread / B & M Brown Bread Original (Plain) 16 oz. Home / Specialty Grocery / Hometown Food Favorites / Beans & Brown Bread / B & M Brown Bread Original (Plain) 16 oz. Home / Local Portuguese Foods / Hometown Food Favorites / Beans & Brown Bread / B & M Brown Bread Original (Plain) 16 oz. Home / Pantry Items / Global Favorites / Local Portuguese Foods / Hometown Food Favorites / Beans & Brown Bread / B & M Brown Bread Original (Plain) 16 oz. Home / Specialty Grocery / Global Favorites / Local Portuguese Foods / Hometown Food Favorites / Beans & Brown Bread / B & M Brown Bread Original (Plain) 16 oz. Home / Foods of New England / Local Portuguese Foods / Hometown Food Favorites / Beans & Brown Bread / B & M Brown Bread Original (Plain) 16 oz. Home / Pantry Items / Condiments, Sauces, Dressings, & More / Beans & Brown Bread / B & M Brown Bread Original (Plain) 16 oz. Home / New England Classics / Condiments, Sauces, Dressings, & More / Beans & Brown Bread / B & M Brown Bread Original (Plain) 16 oz. Home / Hot GIFT Ideas / Gifts For Him / Party Favorites / Condiments, Sauces, Dressings, & More / Beans & Brown Bread / B & M Brown Bread Original (Plain) 16 oz. Home / BBQ & Grilling / Condiments, Sauces, Dressings, & More / Beans & Brown Bread / B & M Brown Bread Original (Plain) 16 oz. Home / Hot GIFT Ideas / BBQ & Grilling / Condiments, Sauces, Dressings, & More / Beans & Brown Bread / B & M Brown Bread Original (Plain) 16 oz. Home / Hot GIFT Ideas / Gifts For Him / Party Favorites / BBQ & Grilling / Condiments, Sauces, Dressings, & More / Beans & Brown Bread / B & M Brown Bread Original (Plain) 16 oz. Home / Specialty Grocery / Condiments, Sauces, Dressings, & More / Beans & Brown Bread / B & M Brown Bread Original (Plain) 16 oz. Home / Foods of New England / Condiments, Sauces, Dressings, & More / Beans & Brown Bread / B & M Brown Bread Original (Plain) 16 oz. 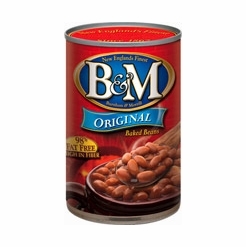 Home / Pantry Items / Hometown Food Favorites / B & M Baked Beans & More / B & M Brown Bread Original (Plain) 16 oz. Home / New England Classics / Hometown Food Favorites / B & M Baked Beans & More / B & M Brown Bread Original (Plain) 16 oz. Home / Foods of New England / Hometown Food Favorites / B & M Baked Beans & More / B & M Brown Bread Original (Plain) 16 oz. 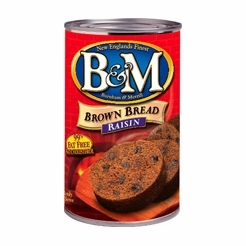 Home / Specialty Grocery / Hometown Food Favorites / B & M Baked Beans & More / B & M Brown Bread Original (Plain) 16 oz. Home / Local Portuguese Foods / Hometown Food Favorites / B & M Baked Beans & More / B & M Brown Bread Original (Plain) 16 oz. Home / Pantry Items / Global Favorites / Local Portuguese Foods / Hometown Food Favorites / B & M Baked Beans & More / B & M Brown Bread Original (Plain) 16 oz. Home / Specialty Grocery / Global Favorites / Local Portuguese Foods / Hometown Food Favorites / B & M Baked Beans & More / B & M Brown Bread Original (Plain) 16 oz. Home / Foods of New England / Local Portuguese Foods / Hometown Food Favorites / B & M Baked Beans & More / B & M Brown Bread Original (Plain) 16 oz. 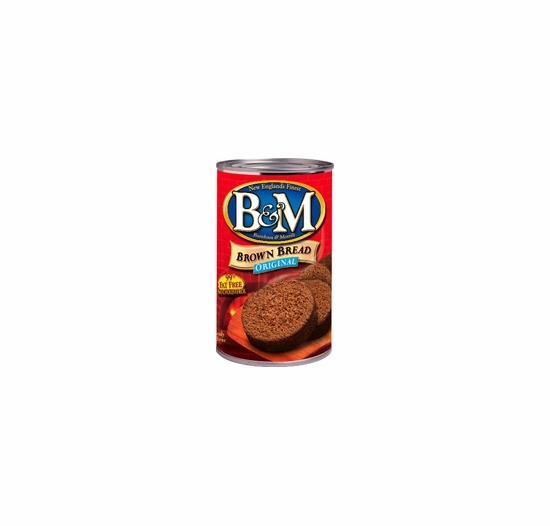 Home / Popular Brands / B & M Baked Beans & More / B & M Brown Bread Original (Plain) 16 oz. Home / Pantry Items / Breads & Stuffing / B & M Brown Bread Original (Plain) 16 oz. Home / New England Classics / Breads & Stuffing / B & M Brown Bread Original (Plain) 16 oz. Home / Specialty Grocery / Breads & Stuffing / B & M Brown Bread Original (Plain) 16 oz. Home / Foods of New England / Breads & Stuffing / B & M Brown Bread Original (Plain) 16 oz. Home / BBQ & Grilling / Meats & Breads for Grilling / Breads & Stuffing / B & M Brown Bread Original (Plain) 16 oz. Home / Hot GIFT Ideas / BBQ & Grilling / Meats & Breads for Grilling / Breads & Stuffing / B & M Brown Bread Original (Plain) 16 oz. Home / Hot GIFT Ideas / Gifts For Him / Party Favorites / BBQ & Grilling / Meats & Breads for Grilling / Breads & Stuffing / B & M Brown Bread Original (Plain) 16 oz. Home / New England Classics / Clambake & Seafood / Meats & Breads for Grilling / Breads & Stuffing / B & M Brown Bread Original (Plain) 16 oz. Home / Foods of New England / Clambake & Seafood / Meats & Breads for Grilling / Breads & Stuffing / B & M Brown Bread Original (Plain) 16 oz. Home / BBQ & Grilling / Clambake & Seafood / Meats & Breads for Grilling / Breads & Stuffing / B & M Brown Bread Original (Plain) 16 oz. Home / Hot GIFT Ideas / BBQ & Grilling / Clambake & Seafood / Meats & Breads for Grilling / Breads & Stuffing / B & M Brown Bread Original (Plain) 16 oz. Home / Hot GIFT Ideas / Gifts For Him / Party Favorites / BBQ & Grilling / Clambake & Seafood / Meats & Breads for Grilling / Breads & Stuffing / B & M Brown Bread Original (Plain) 16 oz. Home / Pantry Items / Hometown Food Favorites / Meats & Breads for Grilling / Breads & Stuffing / B & M Brown Bread Original (Plain) 16 oz. Home / New England Classics / Hometown Food Favorites / Meats & Breads for Grilling / Breads & Stuffing / B & M Brown Bread Original (Plain) 16 oz. Home / Foods of New England / Hometown Food Favorites / Meats & Breads for Grilling / Breads & Stuffing / B & M Brown Bread Original (Plain) 16 oz. Home / Specialty Grocery / Hometown Food Favorites / Meats & Breads for Grilling / Breads & Stuffing / B & M Brown Bread Original (Plain) 16 oz. Home / Local Portuguese Foods / Hometown Food Favorites / Meats & Breads for Grilling / Breads & Stuffing / B & M Brown Bread Original (Plain) 16 oz. Home / Pantry Items / Global Favorites / Local Portuguese Foods / Hometown Food Favorites / Meats & Breads for Grilling / Breads & Stuffing / B & M Brown Bread Original (Plain) 16 oz. Home / Specialty Grocery / Global Favorites / Local Portuguese Foods / Hometown Food Favorites / Meats & Breads for Grilling / Breads & Stuffing / B & M Brown Bread Original (Plain) 16 oz. Home / Foods of New England / Local Portuguese Foods / Hometown Food Favorites / Meats & Breads for Grilling / Breads & Stuffing / B & M Brown Bread Original (Plain) 16 oz. Home / Pantry Items / Hometown Food Favorites / Breads & Stuffing / B & M Brown Bread Original (Plain) 16 oz. Home / New England Classics / Hometown Food Favorites / Breads & Stuffing / B & M Brown Bread Original (Plain) 16 oz. Home / Foods of New England / Hometown Food Favorites / Breads & Stuffing / B & M Brown Bread Original (Plain) 16 oz. Home / Specialty Grocery / Hometown Food Favorites / Breads & Stuffing / B & M Brown Bread Original (Plain) 16 oz. Home / Local Portuguese Foods / Hometown Food Favorites / Breads & Stuffing / B & M Brown Bread Original (Plain) 16 oz. Home / Pantry Items / Global Favorites / Local Portuguese Foods / Hometown Food Favorites / Breads & Stuffing / B & M Brown Bread Original (Plain) 16 oz. Home / Specialty Grocery / Global Favorites / Local Portuguese Foods / Hometown Food Favorites / Breads & Stuffing / B & M Brown Bread Original (Plain) 16 oz. Home / Foods of New England / Local Portuguese Foods / Hometown Food Favorites / Breads & Stuffing / B & M Brown Bread Original (Plain) 16 oz. Home / Pantry Items / Meats & Seafood / Breads & Stuffing / B & M Brown Bread Original (Plain) 16 oz. Home / New England Classics / Meats & Seafood / Breads & Stuffing / B & M Brown Bread Original (Plain) 16 oz. Home / Hot GIFT Ideas / Gifts For Him / Meats & Seafood / Breads & Stuffing / B & M Brown Bread Original (Plain) 16 oz. Home / Foods of New England / Meats & Seafood / Breads & Stuffing / B & M Brown Bread Original (Plain) 16 oz. Home / Meats & Seafood / Breads & Stuffing / B & M Brown Bread Original (Plain) 16 oz. Home / Specialty Grocery / Meats & Seafood / Breads & Stuffing / B & M Brown Bread Original (Plain) 16 oz. Home / Hot GIFT Ideas / Gifts For Him / Party Favorites / Meats & Seafood / Breads & Stuffing / B & M Brown Bread Original (Plain) 16 oz. B&M Brown Bread in a can is customary New England bread. The dark color and sweetness comes from the molasses. Interestingly enough, to make the brown bread the cans are filled with batter and steamed for three hours at atmospheric pressure. The cans are then sealed. That explains why when you open your can of brown bread, it’s moist and delicious. It is a healthy alternative to other breads and it will leave your family asking for, “seconds!” Some New Englanders prefer to have it at breakfast time. They will fry B&M Brown Bread with some butter and serve with eggs. The most traditional way to serve Brown Bread is to have it with B&M Baked Beans!